Now in its fifth year, the Lexus Culinary Classic returns to Cavallo Point Lodge April 26,-28, 2019, with an exciting lineup of guest chefs and culinary experts. Throughout the weekend guests will be treated to a schedule of exclusive events with highlights including a Farmer’s Market Excursion, cycling with famed pro-cyclist Christian Vande Velde, cooking demonstrations, wine blending, and a private dinner at Skywalker Ranch, chauffeured in a Lexus. 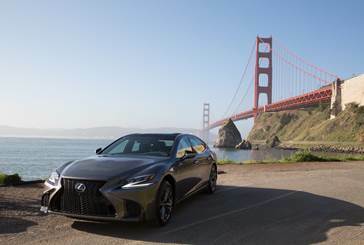 Driving enthusiasts will also have the opportunity to get behind the wheel of a Lexus for an idyllic drive around Cavallo Point. The weekend is capped off with the Lexus Grand Tasting on Sunday afternoon featuring all 10 participating chefs, Blackberry Farm Brewery and 20 winemakers that are members of Napa Valley Vintners, and Champion Racecar Driver and Lexus Brand Ambassador Scott Pruett, who will be pouring wine from his own label.